500 years ago, British rulers in India were promoting tea in the world markets and they were trying to generate customers for tea in the world market. See the popularity, now tea is associated with the culture and tradition of the world population. 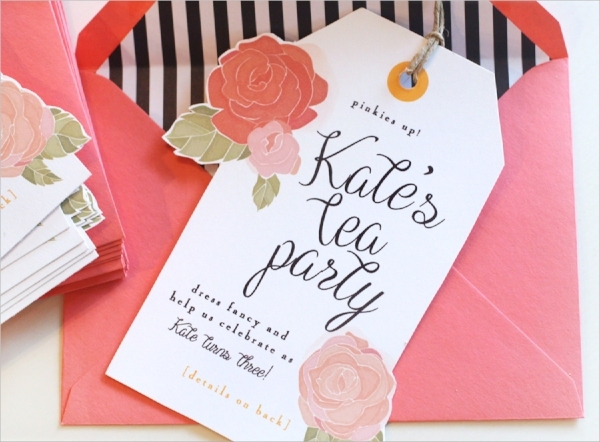 Right from Retirement Invitations designs to simple occasions, tea became a welcome drink. It became a reason for people to come together. 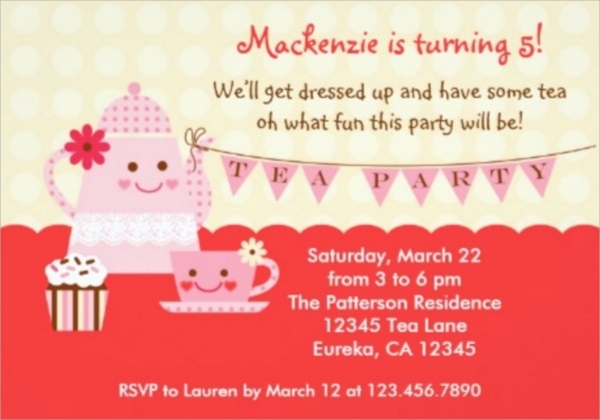 The current gallery that we are dealing with is a collection of some tea party invitations at your disposal. 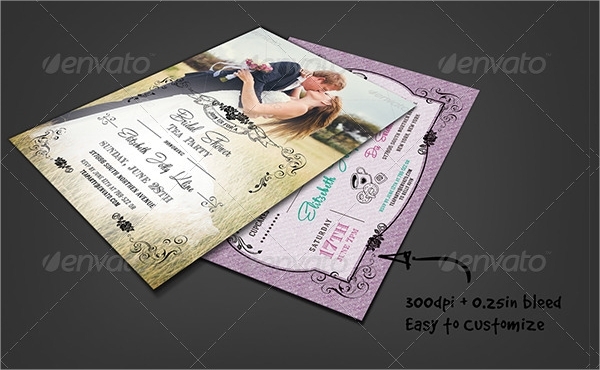 This invitation card is available in four different sizes with portrait and landscape variants. 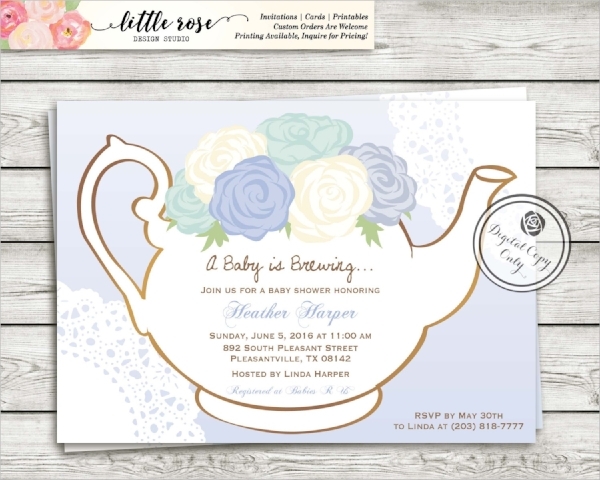 It is an easy to customize design where you can also play with the color schemes and other details quite freely. 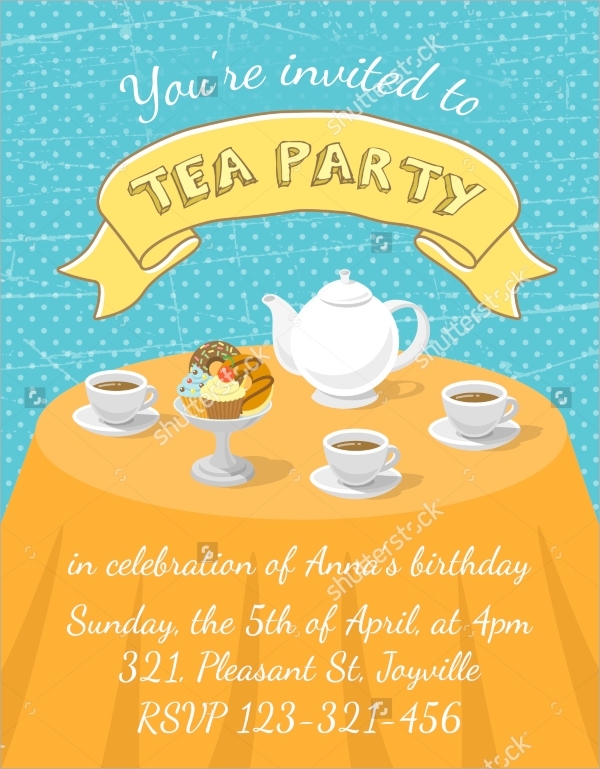 It is a set of some amazing mugs and other accessories that can be used to décor the venue of the tea party, if tea is your main theme then these artworks can serve the purpose well when you are going for any design. 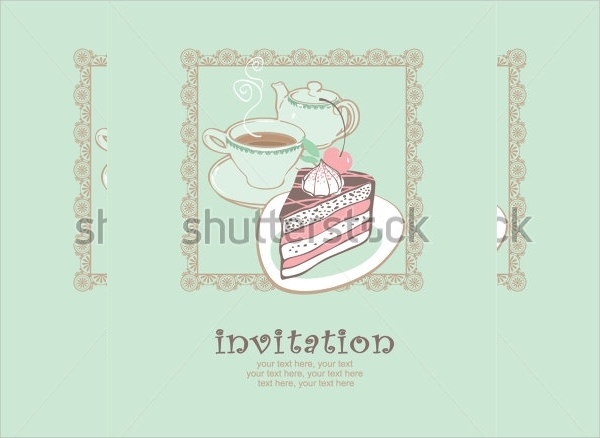 They have recreated a high tea invitations pattern for you. 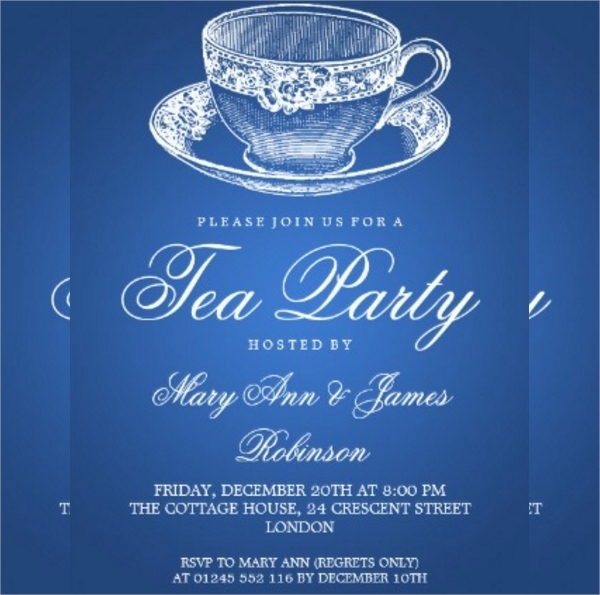 This particular design borrows the element from that era, when these parties were in vogue. Recapture the essence of the golden era of tea culture with this design. Shortest possible communication with the simplest possible color scheme and other decor. 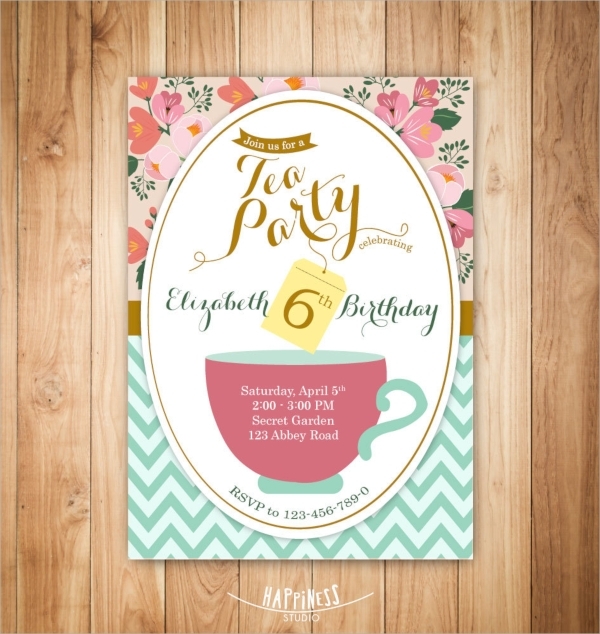 If simplicity is your mantra or as a designer you are looking for a last minute job then grab this design, customize it and print it. 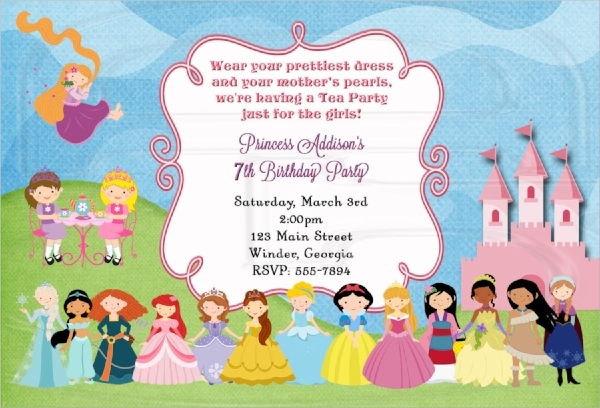 You can also see Formal Invitations. Heart, flower, and kettle all clubbed together in a single form. 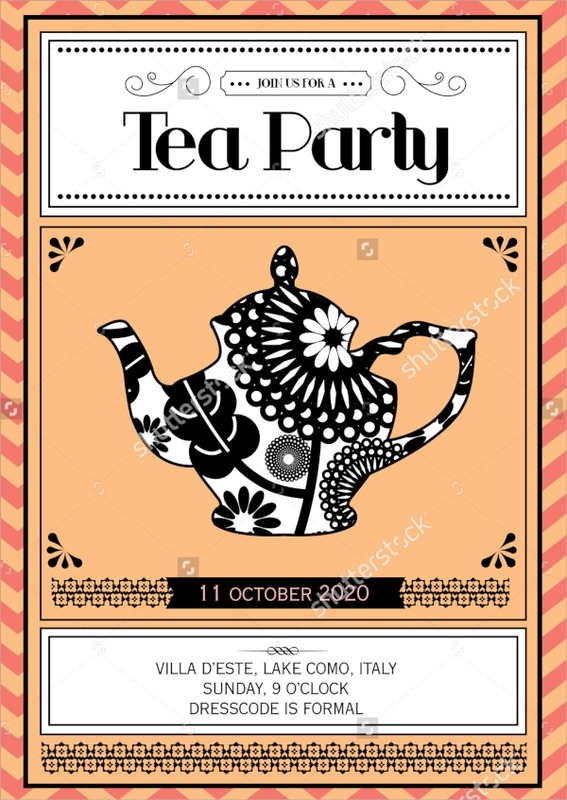 Here we are presenting a design, which is loaded with all the classical elements of afternoon tea invitations that were very popular in 60’s. 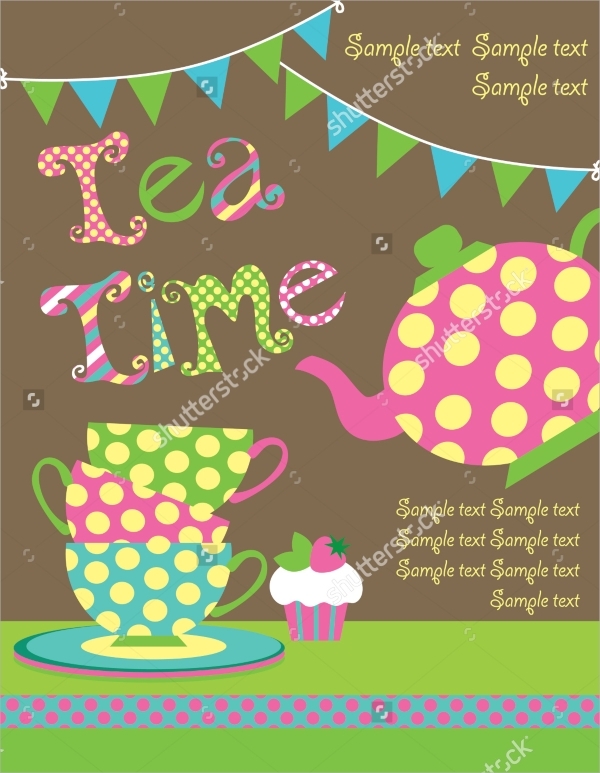 Polka dotted cups and kettle along with celebration flags are the primary design elements of this vector illustration. 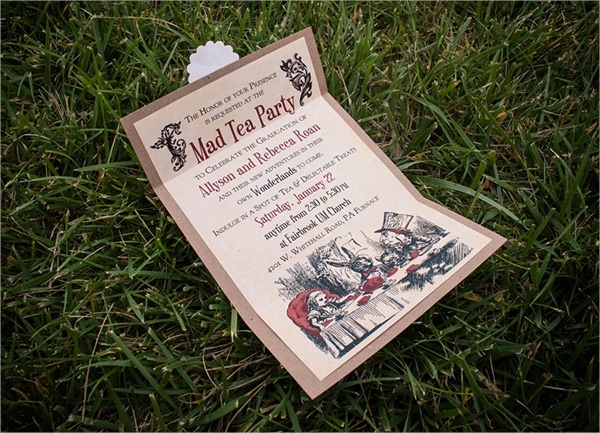 It is a mad hatter tea party invitation at your disposal. Use it prudently and score with your designs. 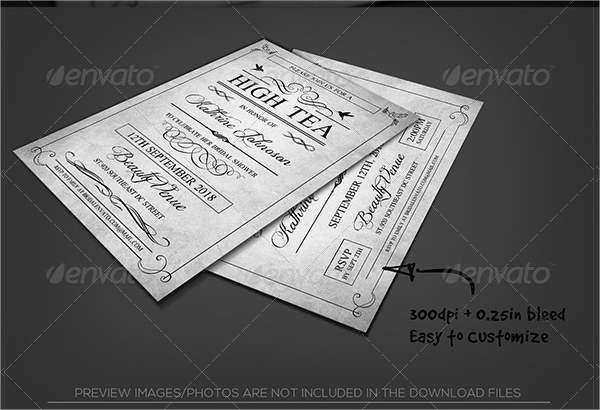 Floral tea bags talk loads about the creative juices flowing in the head of the main designer. This is a remarkable design that is at your disposal. Grab it today and design it to make it your own creation. A single click and you can change the color of the theme. The presence of heart shapes in the designs makes it a romantic affair, the very versatile design that is ready for experimentation and customization. Grab it today and deliver a classy design from your desk. A well adorned and colorful tea kettle is working as the center of the attraction for this design. This vector illustration is unique in many ways because you might not have seen anything like this before and this novelty works as a USP for it. Traditional oval mirrors are doing the honor of the main space for the message. 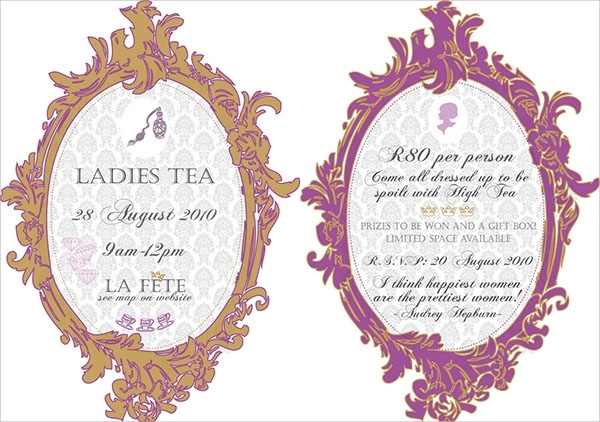 This particular design has a feminist touch attached to it and this makes it a special design for certain theme parties. The life of a design is a circle, with this design paisley work is back. This time, it will stay is the announcement of this design. 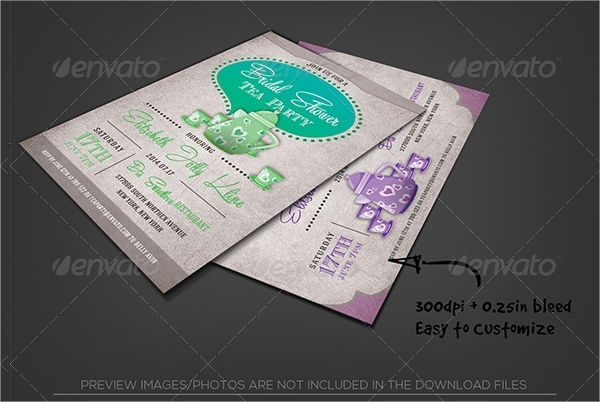 If you are seeking for a creative and simple printable design, then bet your money on this design. A shaded cup marked on a blue backdrop, if you will look at it from a distance then you will find that it is a crystal cup at your disposal. 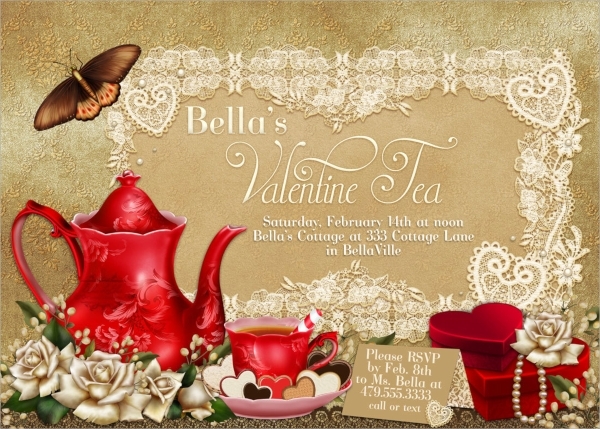 Fonts have a royal touch and look as if it is a royal invitation coming your way. 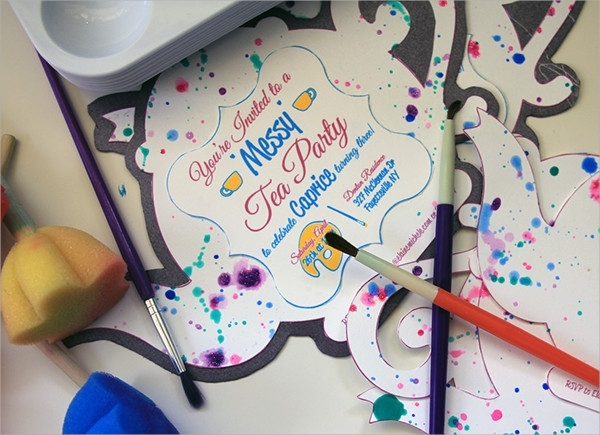 It is a design specially marked when you are planning to have some toddler fun with your kids. The color scheme is very playful and this vibrancy makes it a special design standing alone in the rut. Top of the card talks about the flowers and the bottom of the card has some water element in it,. This is a very subtle representation of both the things that they have created here. 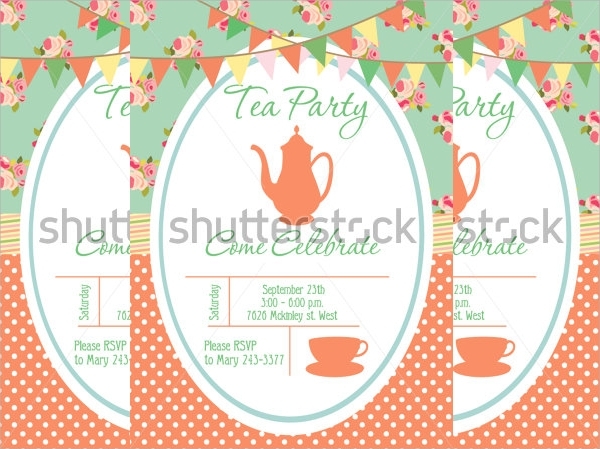 There are three elements that capture the charm of a tea party here, first we have a set of the tea kettle and cups and second we have celebration flags. 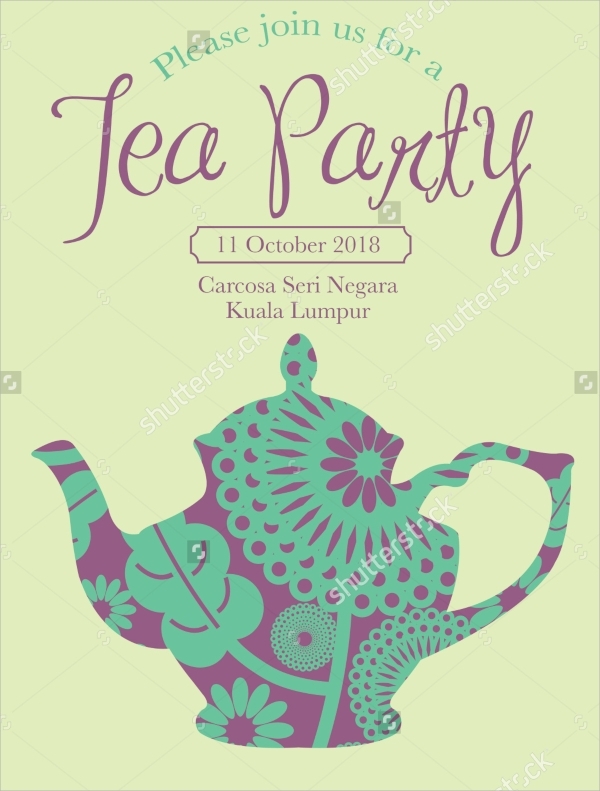 It is a nice work of art if you are planning to capture the charm of golden days of tea party culture, which were in 60’s and 70’s. 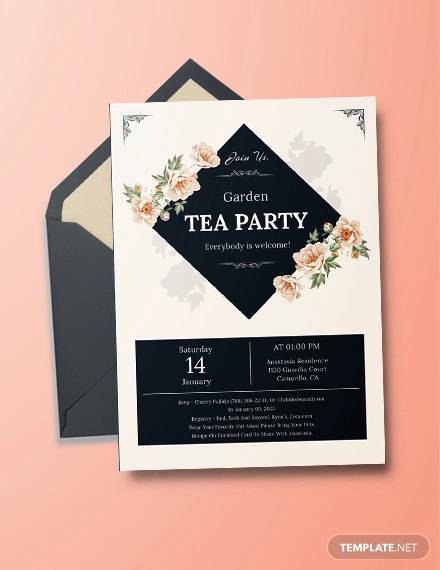 Tea parties are special occasions, so if you are a couple and looking for an Anniversary Invitations in the form of these tea party invitations then this particular gallery has many things to offer you. Your designer can capture any of the designs that are available and later on, he can customize them for your benefit quite easily.